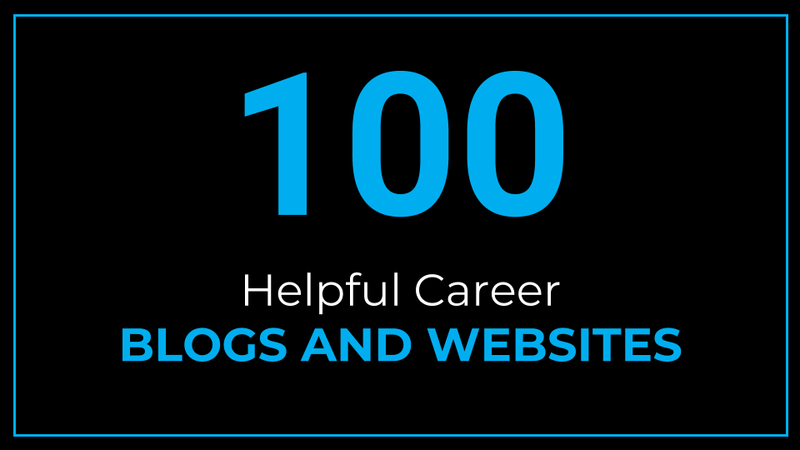 This is a detailed list or a handy reference guide for top 100 career blogs and websites that help people in their quest to find a good job and also in their desire to succeed in their professions and be the very best at what they do. These career blogs answer job search and career questions and provide career advice for both jobseekers and working professionals. They help you to improve your job, offer useful articles and empower you with information on career development. Methodology used: Over a period of six months, I combed through the Internet looking for, reading and curating the best career blogs based on: overall blog content, career advice topics and categories addressed, ease of navigation on the websites, website layout and presentation, passion evident for helping jobseekers and career climbers, and information available on social media. The websites are not ranked in any way. They are listed in alphabetical order and show the website or blog name, logo, a summary description, what you will learn and two samples of interesting articles to read on each blog. You can quickly skim all the 100 helpful career blogs and websites on the table of contents below and then click on any website to read further details. Please enjoy reading. Thank you. Topics covered include job searching, resumes, interview advice, interview questions and answers, interview attire and interview help. Interviewing Secrets from Human Resources and Hiring Managers – Wondering how to shine at job interviews? This article reveals insights from hiring managers on how to prepare and succeed in job interviews. The Colors of Interview Success – Struggling to choose your interview outfit? This post walks you through what colors to wear during an interview and which colors can portray you in a favorable way. Many topics are addressed including advice about your boss, advice about your coworkers, job searching, internships, interviewing, resumes, networking, layoffs, unemployment, rejections, job offers, being the boss and work habits. What does “culture fit” really mean? – Curious if you will fit into an organization’s culture? This question is answered by explaining what fit means, examples of fit and figuring out factors that are likely to make one succeed in a company. What to do when you make a mistake at work – Beating yourself up for messing up? This article outlines how to recover when you make a mistake at work. Topics covered include advice on cover letters, resume writing, interviewing, using LinkedIn, networking and job searching. Your Resume – How Recruiters Read Between the Lines – What do others see in your resume? Learn ten revealing things that lie below the surface of your resume. How to Connect to Anyone – But Especially Hiring Managers – Wondering how to contact a hiring manager? Explore various actionable tips on how to reach out to someone. Topics addressed consist of answering common job interview questions, questions to ask during interviews, interview tips and advice, mastering behavioral interviews, preparing for phone interviews, panel and group interviews, how to dress for an interview, closing an interview, thank you letters, negotiating salary and accepting a job offer. Panel Interview Tips to Set You Up For Success – Nervous about an upcoming panel interview? Acquire tips on how to prepare, be comfortable and stand out when meeting with a group of interviewers. Interview Closing Tips and Techniques – How do you close an interview as an interviewee? This article outlines ways to end an interview on a strong note and leave a favorable impression. Topics on the Big Interview blog include: interview questions and answers, how to get an interview, creating good resumes and behavioral interview questions. Also featured are interview podcasts. 11 Classic Interview Mistakes – and How to Recover – Made a mistake during an interview – gone blank, rambled on? Learn typical mistakes made during job interviews and guidance on how to bounce back. How To Answer: Why Should We Hire You? – Why should you be chosen over other candidates? Explore reasons why interviewers ask this question, pitfalls to avoid and how to prepare and convince them that you are the best candidate for the job. Blog topics entail career inspiration and motivation, job interviews, mentorship, dealing with stress, staying positive at work, being productive and managing emails. Podcasts are also available. 3 Types of Mentors You Need to Succeed – Looking for a mentor? Learn about different types of mentors who can provide helpful professional advice to help you navigate various stages of your career. 9 Ways to Transcend Email Paralysis – Struggling to manage your inbox? This post outlines tips to help you keep your email under control. 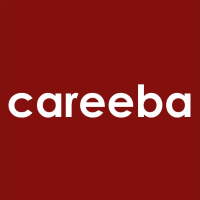 Careeba helps talented professionals to develop their careers by offering career enhancing knowledge and career support services including career coaching and mentoring. Topics covered consist of career basics, career skills, career planning, management and leadership and the bigger picture (personal growth and development). How to Stay Motivated After Only Receiving Rejections? – Dealing with rejection in your job search? See tips on how to stay hopeful and strong as you look for a job. Avoiding Time Wasting – Why This Trick Is Crucial For Your Success – Desiring to be more productive? Find out how to overcome procrastination and get ready to do work that you have been dreading to do. Blog posts cover topics such as executive resumes, job searching, recruitment, resume mistakes, interviews, changing industries/changing careers, work environment, LinkedIn tips, working abroad, networking and negotiating. Why You Shouldn’t Try to Win Your Negotiations – Looking for negotiation advice? Learn tips on successful strategies for getting win-win outcomes during negotiations. How to Eliminate Distractions and Function in an Overcrowded Office – Trying to concentrate in a crowded office? Find out a few ways to stay focused in a congested workplace. Blog topics entail job hunting advice, networking, changing careers, executive job search tips, LinkedIn guidance, interviewing skills and tips, resume and CV tips, job search motivation, age bias/age discrimination and 30-60-90-day plans. How to Write a 30-60-90-Day Plan for Job Interviews – Need an action plan for a new position? Find out tips on developing and structuring a 30 60 90 day plan. What Does a Career Coach Do? – Should you hire a career coach? This post outlines how a career coach can help during different stages of one’s career. Career advice articles are categorized into five groups namely: career fit, job search, career growth, money and work life balance. How to Stay Positive in a Toxic Work Environment – Surrounded by negativity at work? Here are seven tips on stamping out dysfunction in the workplace. How to Conduct Your Own Annual Review – Wondering how you are doing? Obtain pointers on taking a performance pulse check and tracking how you are doing in your career. Blog topics addressed include social media job seeking, resume building, confidence, veterans, personal branding, LinkedIn tips, Facebook job search and Twitter job search. How to Build a Powerful Personal Brand Online – Want to stand out? See 11 steps on how to develop your personal brand and showcase the value you offer. Congratulations on Your Military Service… Now Here Are 9 Reasons Why I Won’t Hire You – Transitioning from the military? This article discusses what can short-circuit the hiring chances for a military professional and tips on successfully preparing for civilian job opportunities. Career Girl Daily is a daily lifestyle guide specializing in beauty, life-improvement and career advice. Career articles discuss topics such as productivity, morning routines, CV tips, getting organized, office etiquette, job promotion, job search, interviewing tips and becoming successful. How To Be Productive Every Moment Of The Day – Seeking to improve your efficiency? Check out what to do and what not to do to increase your output at work. The Surprising Things Your Interviewer Notices About You – Want to make a positive first impression? See how an interviewer perceives the things that you do during a job interview. Career Igniter provides career tools to help people’s careers including a career finder, resume builder, job search and career advice. Career advice topics include job searching, resume and cover letter tips, interview strategies and job promotion tips. Eight Steps To An Attention-Getting Resume – Want your resume to shine? Explore tips on targeting your resume and highlighting your strengths and achievements to help you stand out. How To Negotiate A Flexible Work Schedule – Desiring flexible work hours? Find out guidance on when and how to ask for flexible arrangements as well as risks that can arise from poorly timed requests. Blog topics discuss careers in the 2nd half of life, career change, career success, entrepreneurship, job search, multi-generational work setting, networking, personal brand and social media among other topics. The Key to a Successful Career Shift: Asking for Help – Considering a career change? Learn how asking for assistance can be beneficial during a career transition as well as steps for asking for help. Learning to Say “No” and Not Feeling Guilty – Afraid to say no? Gain insights on consequences of saying no and how and when to say no. Explore topics on MBA application advice, writing a recommendation, making confident choices, networking, resumes, job interviews, LinkedIn profile tips and career inspiration. This ONE Tip Will Make You Love Networking – Anxious about networking? Find out how to overcome hating networking and work on growing and nurturing your professional network. 5 Tips for Upward Management – Seeking to work better with your superiors? Check out ways of building strong and mutually beneficial working relationships with senior staff. Get career advice on topics such as career management, communication, decision making, interviewing, job search, LinkedIn, personal marketing plan, motivation, networking, new graduate help, new on the job tips, personal branding, recruiters, reputation management, resume writing and self-assessment. 9 Tips To Negotiate A Job Offer Like A Pro – Need guidance negotiating a job package? Learn the right time and way to negotiate your starting compensation, including additional things to negotiate apart from salary. 41 Reasons Why You Didn’t Get the Job – Not receiving job offers? See areas where you could have fallen short during the application and interview stages and how to fix this. Blog categories consist of career skills, communication, earning what you’re worth, getting the job you want, leadership, managing your career (career planning, mentors and networking), negotiations, operating style (meetings), presentations, quick tips (pic posts) and tricky stuff (managing up, time to move on and tricky stuff with people). 7 Options when you’re caught in an Email War – Dealing with email misunderstandings? This article outlines ways to successfully resolve email conflicts. Tips for a successful career change – Considering switching professions? Here are steps to help you when you decide to move from one occupation to another. Blog topics include executive job search, career change, executive resumes, career goals, interview tips, LinkedIn profiles, networking, social media and resume stories. How to Convert Your Standard Resume to a C-Level Story That Blows the Competition Out of the Water – Need resume ideas? Extract key points on how to make your resume stand out from the crowd. 9 Ideas to Help Spur Your Goals Forward This Year – Aspiring to keep your goals on track? Get inspiration on taking a step at a time, staying focused and working towards achieving your goals. Career Addict helps job seekers, career changers and career climbers to kick-start and advance their careers. Career advice categories are as follows: finding a job (cover letters, CVs, interviews, job search, networking, social media and unemployment), education (apprenticeships, graduates, internships, school leavers and student life), and careers (career advancement, career coaching, career development, career paths, changing careers, choosing a career, entrepreneurship and freelancing). Other categories are management (human resources, leadership and recruitment), at work (company culture, employee rights, salaries, working abroad, work-life balance and workplace), and development (career testing, career trends, industries, skills, success stories and volunteering). 26 Deadly Interview Mistakes and How to Avoid Them – Preparing for an interview? Identify errors that can derail you and obtain tips on increasing your odds of success during job interviews. 30 Common Job Search Mistakes You Need to Avoid – Hoping to improve your job search? Explore mistakes that can happen during a job hunting cycle from CV preparation to the cover letter to the interview and after the interview, and see guidance on how to correct the mistakes. Career advice blog topics entail job search, career paths, career change, job loss, career opportunities, resumes, cover letters, interviews, dream jobs and public speaking. Tips For Choosing A Suitable Career – What job is right for you? This post walks you through four tips on identifying an appropriate career path. The Employed Person’s Guide To Covert Job Searching – Job hunting while employed? Here are tips for carefully looking for a job while you are still working. CareerCast helps job seekers build resumes, find targeted job opportunities by industry, function and location and offers best job rankings. Career advice articles discuss job hunting advice, job interviews, networking, resume writing, career guidance, advice, employment trends, salary & benefits and life at work. Recognize And Deal With Job Burnout – Suffering from burnout at work? See the signs and symptoms of burnout, an example of how burnup affected a professional and advice on dealing with burnout. How to Beat Workplace Bullies – Bullied at work? This article identifies types of bullying and how to deal with a bully in the office. Topics covered entail work environment, essentials for job search success, self-assessment, career change, career reinvention, clinical career counseling, college grads job search, motivation for the job search, psychology and the job search, LinkedIn and resumes. Focus on Career Trends: Bridging the Skills Gap Without Breaking the Bank – Got skills gaps? Take a look at different resources that you can use to increase your skills, knowledge and credentials. Making Your Job Work for You – Avoid the 3 B’s: Boredom, Blahs and Burnout – Yearning to love your job again? Check out tips on how to revitalize and bring back the spark to your job. Career advice categories comprise productivity, personal branding, networking, career success, career lessons, career options, LinkedIn, job search, cover letters, resume tips, job interviews, salary negotiation, social media, recruiting, freelancing, accelerated learning, telecommuting, expert roundups and book reviews. In addition there is a podcast. 5 Leadership Skills You Need to for Career Success – Need to improve your leadership skills? Find out areas you can work on to develop your leadership skills in the workplace. Personal Branding: 10 Easy Steps toward a New Professional You – Craving to build your personal brand? Get tips on the importance of a personal brand and how to create your own brand. CareerOneStop, sponsored by the U.S. Department of Labor, Employment and Training Administration, provides tools and employment information that helps job seekers, students, businesses and career professionals find employment, training and career resources. 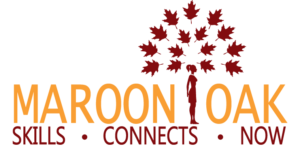 The blog offers resources on businesses and employers, career changers, career counselors, entry-level workers, job seekers, older workers, parents, self-employment, students, veterans, workers with criminal records and workers with disabilities. 7 tips for getting the most out of a job fair – Attending a job fair? Obtain advice on how to prepare well for job fairs to improve your likelihood of excelling. 5 tips for teens looking for a summer job – Need a summer job? This post offers guidance on how teenagers can be successful when conducting a summer job hunt. Career advice articles offer insights on career motivation, cover letter help, general interview tips, job market trends, job search strategies, professional branding, resume help and a question and answer section called “Ask Deb”. Stop Worrying So Much About the Posted Job Description – Scared away by a job posting? Get an overview of how job descriptions are created and a case for when you should go ahead and apply. An Insider’s Job Search Tips: Get in the Back Door for an Interview – Want a leg up over the competition? Find out four ways of boosting your likelihood of being invited to an interview and getting a job. Careers in Government is dedicated to matching qualified individuals with challenging and rewarding careers in government and the public sector. Career advice categories consist of networking/interviewing, on the job, personality assessment, resumes/cover letters, innovations and social media. Job Interview: The 20 Best Questions You Can Ask – Not sure what to ask? Check out questions to ask an interviewer which are conveniently broken down into four categories. 3 Tips for Being a More Engaging Speaker – Want to be a better public speaker? Here are a few guidelines on how to captivate an audience and deliver your message effectively. Careers.org provides in-depth occupation profiles, industry profiles, regional career resource center information, higher education resources, salary tool, job search listings and career advice articles. Blog article categories are resume builder, personal branding, networking, negotiations and leadership. Additionally there is a podcast on career guidance topics. 20 Tips To Be a More Successful Young Leader – Seeking to be a better leader? Acquire guidance on building up your leadership skills and becoming a better leader over time. All You Need to Know About How to Give Constructive Feedback Effectively – Grappling with giving feedback? Learn steps on how to give useful feedback to employees. Careershifters helps bright, motivated people who feel stuck in the wrong career find and move into fulfilling work. Career change topics address how to find a job, how to get support, how to identify your ideal career, how to make the change and how to overcome fear & obstacles. You Can’t Shift Without This: The Single Ingredient That Will Make Or Break Your Career Change – Making a career change? Gain insights on what is necessary to keep you determined and on track when you decide to start a new career. What To Do When You’re Scared Of Making A Change – And Of Staying Where You Are – Afraid to make a career switch? Here is a discussion on how to re-channel your fear to help you forge ahead towards your desired end goal. Career advice articles are broken down into the following categories: resume tips, LinkedIn tips, getting job interviews, preparing for your interview, interview questions and answers and how to follow up after an interview. 10 Resume Summary Statement Examples That Get Interviews – Want an outstanding resume summary? Check out samples of attention-grabbing resume summary statements and discussion on why the summaries stand out. The 9 Best Ways to Get Promoted at Your Job – Seeking career advancement? Get guidance on what you can do to position yourself for a job promotion. Careersmart is a careers website that helps individuals to be informed and confident in their career choices and decisions. Careersmart was established by Prospect union for professionals, UK. Career topics entail appraisals, evaluations & reviews, career development, getting a new job, health and wellbeing, leaving a job, pay & conditions, pensions, selling your skills, types of employment and workplace issues. First day at a new job – Starting a new role? Read guidance on preparing for day one and things to do on the first day of work. Getting noticed at work – Need to increase your visibility? Find out ways to raise your profile and get recognized for your work to help your career advancement. The main subjects addressed are salaries for different professions and career roadmaps (i.e. what it takes to do a specific job). In addition, blog articles discuss topics such as networking, interview tips and finding your career. How to Become a Chef in 5 Simple Steps – Thinking of becoming a chef? Discover the process required to be a chef including getting professional culinary training, getting certified, how long it takes to be a chef and the cost. How Much Do Interior Designers Make? – Curious? Find out what an interior designer does, the average salary, top five paying states, top industries and job outlook. Articles and infographics discuss finding a new job, succeeding in your job, making career changes, managing change, asking for a pay rise, resume tips, job interview tips, resignation tips, LinkedIn tips, coping with job loss, management and leadership tips, motivating employees and much more. Manage Your Peers: See 12 Tested Ways – Moving from coworker to boss? Explore how to transition to the new role, set a proper foundation, build a support system and motivate your team to achieve results. 12 Reasons Why Employees Resist Change in the Workplace – Trying to overcome resistance to change? Examine the reasons why change is resisted at work and how to plan a change strategy that addresses workers’ concerns. Blog topics address tips on how to find work or create a business; the categories covered are job search, entrepreneurship, health & balance, leadership, fashion, productivity, social media and money. 4 Ways to Keep a Recruiter’s Attention for More Than 6 Seconds – Want your resume to be read more keenly? Find out how to draw in a recruiter to spend more time reading your resume. 5 Ways to Be More Productive at Work without Working Overtime – Desiring to work smartly? Identify how to do more work within regular working hours. In addition, there is a section that provides in-depth career profiles for different types of jobs. Information provided consists of job descriptions, salary statistics, education and training information, work environment for various jobs, how to join a specific profession, job outlook and related careers. 10 Things Your Resume Shows About You That You Probably Didn’t Realize – Is your resume selling you out? See things that are on your resume that could be hindering your likelihood of getting a job interview. Selecting Your Career After College – Narrowing down your career options? Get guidance on how to search internally/within yourself and externally to find out which career choice would be ideal for you. Career advice articles discuss internships, interview tips, job search, personal branding, resumes and cover letters and salary. Other topics include networking, HR and social media. True Story of a New Graduate Attacked By His High Starting Salary – Earning too much? Take a look at a scenario when earning too much in an entry-level position could affect future jobs and how to manage this type of situation. 10 Ways Young People Can Get Valuable Work Experience – Need entry-level experience? Get advice on different ways to obtain work experience as a first-time worker. Topics addressed include job hunting, LinkedIn, professionalism, being a boss, business etiquette, imposter syndrome, office culture, lifestyle, success, career transitions, networking, office hairstyles, sexism, social media, technology, internships/summer jobs, beauty, organization, productivity, work styles and travel. Business Casual – Without Being Overdressed – Need business casual tips? Get advice on what to wear and also professional ways to dress business casual. How Often Can You Repeat Your Outfits at Work? – Hmmm interesting question … See guidance on repeating clothing items and what can dictate how often you wear the same outfit. Career and success categories are: career pathing and design, job search, living the corporate life and the climb. Some specific topics covered include juggling blogging and a fulltime job, are cover letters still relevant?, free job search tools, what to wear to a job interview, preparing for a new job, handling open enrollment and dealing with workplace anxieties. How To Stay Motivated During A Longer Than Expected Job Search – Frustrated by a long job hunt? Read six tips on ways to re-energize yourself as you look for a job. 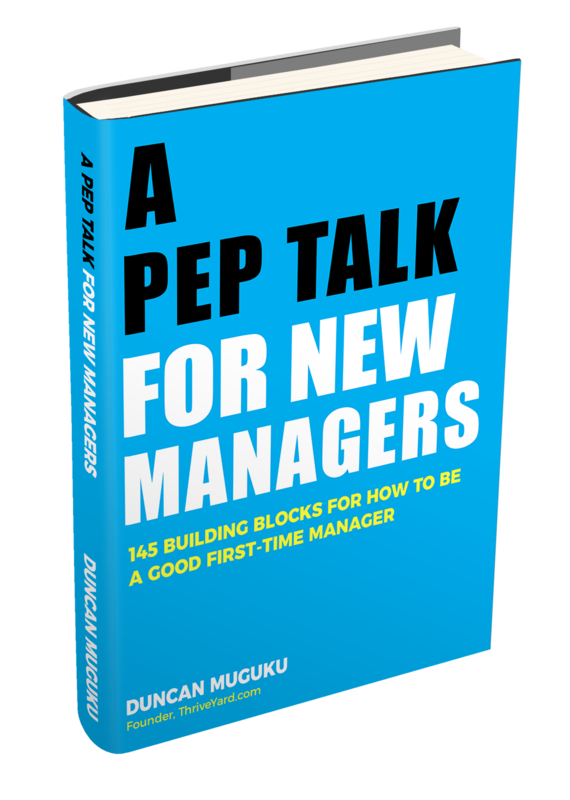 4 Secrets Your Manager Wouldn’t Tell You But Wish You Knew – Wondering what your manager is facing? Discover some fears and anxieties that a boss could be facing as they try do a good job. Topics comprise of job searching, job interview tips, success stories, resume tips, cover letter tips, LinkedIn tips, goal setting and side hustles. Some specific areas discussed include: how to write resume skills, writing a letter of interest, finding your purpose and passion, tips for getting hired, preparing for job interviews and how to start a business while still working. How To Write A Resume That Will Actually Get You Hired [With Examples] – Looking for good resume writing strategies? Explore resume mistakes that disqualify many resumes and how to avoid these mistakes, see examples of what can help your resume to be noticeable and find out other useful resume tips. How To Get A Job Anywhere With NO Connections – Struggling to find a job? Check out steps that can help you to find an ideal job including an effective way to get hired and how to add value to an influencer within a company. Career topics include time management, finding a mentor, interview tips, networking, goal setting, personal growth, identifying your personal brand, productivity and job search. 10 Questions to Ask Instead of “How’s the Weather?” for Effective Networking Results – Want to build stronger connections? Find out ways to build rapport with others through asking better questions. Cover Letter Tip: Stop Writing ‘Dear Hiring Manager’ and Write This Instead – Who should you address on the cover letter? Get guidance on figuring out how to address your cover letter. 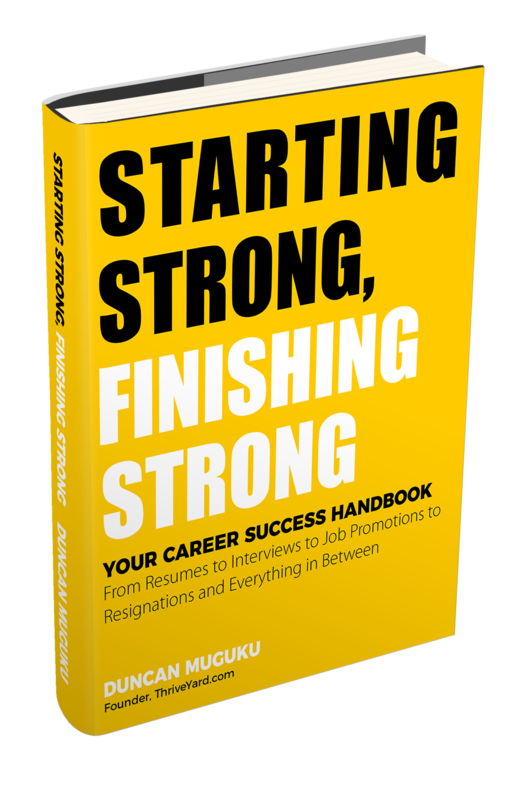 Career categories include accelerating your career, shortcuts to working smarter and the office (answers to readers’ questions). Some specific questions discussed in “the office” section are unproductive coworker, awkward reference checks, cursing coworkers, working for a younger boss, perfume in the workplace, getting fired and politics of work lunch among others. Eight Ways to Advance Your Career and Boost Your Pay – Seeking to advance your career? Learn how one executive took a calculated risk to advance her career as well as advice on how you can move up the career ladder. Five Tips for Getting Ahead in the Workplace – Desiring career progression? Read about a professional who was promoted in record time and how she did it and also get guidance on taking your career to the next level. Blog topics consist of career advice, career planning, being proactive, job search, productivity, time management, career management, professional certification, motivation, LinkedIn, career success series from A-Z, networking, work relationships and mindset. How to Be Proactive at Work: My 5 Step System – Seeking to be a star employee? Find out what it means to be proactive and how you can develop your proactive abilities to get ahead at work. 27 Ways to Re-Energize Your Career Without Changing Jobs – Want to rekindle your passion for work? Explore different ideas on how to bring back the spark to your job. Blog categories cover interview questions and answers, resume tips, job interview tips and job search tips. Specific topics addressed include: behavioral interview questions, behavioral interview tips, biggest weakness, body language, common interview questions, company research, difficult interview questions, dress code, how to answer interview questions, interview preparation, job search techniques, questions to ask, resume design, resume keywords, resume strategies and networking tips. 3 Ways to Change a Bad First Impression – Made some initial missteps? Obtain advice on how to recover and improve your image and work relationships. 5 Secret Tips To Really Impress Your Interviewer – Struggling to put your best foot forward? Here are ways to get ready for each step of a job interview. Blog categories discuss executive career management, executive interviews, executive job search, executive networking, executive resume, biography & cover letter, green careers, LinkedIn, online presence & online reputation management, blogging, personal branding and social media & social networking. What Personal Branding is NOT – Building your personal brand? Identify the misconceptions regarding personal branding and learn what personal branding really is. 5 Key Elements of a Strong Online Personal Brand – Want to increase your online visibility? Check out steps for developing your reputation online to boost your chances of getting found by executive recruiters. 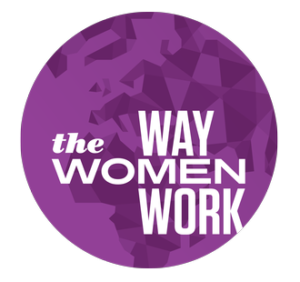 Career topics include maternity leave, pregnancy, feminism, workplace diversity, interview tips, inspirational quotes, unemployment, office romance, workplace tips, workplace harassment, sexual harassment, financial responsibility tips and changing careers. Additionally, research and presentations are available on subjects such as relationships and money, gender equality in the workplace and female job satisfaction. Also there is a section called work confessions where people share what they are going through at work and others can empathize with them. Maternity Leave 101: Basic Things You Should Know – Expecting? Get guidance on preparing for maternity leave including maternity leave policy, short-term disability and going back to work. 50 Things To Do When You’re Bored At Work That Are Actually Productive – Experiencing boredom? Check out these easy to do tasks where you can do less and accomplish more. Blog articles discuss tips on getting promoted; categories include leadership lessons, career mistakes, boss relationship, building skills, building influence and gaining experience. Improve Your Boss’s Opinion of You with a Simple Question – Aiming to take initiative? Check out a question that can help put you in your boss’s good books. 8 Reasons You Are Not Getting Ahead at Work (And What to Do About It) – Want to move up at work? Identify things that can hold you back from climbing the company ladder and how you can position yourself for getting a job promotion. The career advice categories are: networking, resumes & cover letters, interviews, how to follow up, social media and college life. In addition, you can view a job board as well as upcoming events such as workshops and webinars. How to Get Hired at a Networking Event – Wish to network your way to job? Take a look at first-hand stories and tips from people who got jobs at networking events. 5 Unexpected Things to Check Before Sending That Cover Letter – Finalized your cover letter? See a few things to look at to ensure that your cover letter is airtight. Topics addressed include career inspiration, interviewing, job tips, LinkedIn, networking tips, quitting your job, relationship building, resumes and cover letters and salary negotiation. The Only Career Advancement Guide You Will Ever Need – Need step-by-step career guidance? Learn tips on finding a job, interview preparation, professional networking, salary negotiation, mastering LinkedIn, quitting the right way and being productive at work. The Ten People You Need in Your Network to Accelerate Your Career – Looking to advance your career? Identify the people that you can align yourself with to boost the upward trajectory of your career. Blog categories discuss career, blogging, happiness, finance/money and productivity. 5 Thoughts On Job Hopping – To hop or not to hop? Get tips on how to strategically move from one job to the next. How To Snag A Management Position – Aiming to move up in your career? This post identifies qualities that you can develop to help you climb the corporate ladder. Career categories consist of productivity and time management, career success, career relationships, college-undergrad, grad school and social media advice. Other categories addressed are self-development, finance and health. Some specific career topics discussed include: what to do when working in a toxic workplace, handling a negative performance review, red flags at work, making yourself valuable for a job promotion, ways to go the extra mile at work, overcoming imposter syndrome, dealing with difficult people at work and how to build friendships with coworkers. How To Rock Your Performance Review – Preparing for a performance appraisal? Get tips on how to make a strong impact during an annual review including showcasing the value you bring and outlining ideas to help the company. 6 Reasons Why Getting Fired Is Not The End Of The World – Reason for leaving? Find out the lessons to be learned from getting fired and how to use this opportunity to reassess your priorities and explore new paths. Blog topics include resume writing tips, job search, career goals, career success, career paths, action verbs, job references, optimizing your resume, social media tips, personal branding, interview tips, cover letters, resigning gracefully and infographics. 131 Resume Writing Tips – The Most Comprehensive List of Resume Writing Tips on the Internet – Sprucing up your resume? Get a plethora of tips on how to improve different sections of your resume as well as best practices for resume writing. The #1 Most Overused and Useless Resume Word – Delete It Now – What word is it? Find out a common word that is easy to overlook that ought to be removed from resumes and what you should do instead. Blog topics include job searching, interview tips and answers to reader questions. How to Network Like a Pro! – Need networking guidance? Check out a strategic way to reach out to others that helps to build strong relationships. How to Get the Job You Deserve – Looking for a good position? Take a look at what you can do differently to get the job you want. Career advice articles are broken down into categories such as interview preparation, interview questions and answers, interview tips, interview advice and job search advice. How to Win Over the Interviewer – Seeking to wow your interviewer? See four tips on how you can make a strong case for yourself during an interview. How to Stand Out During the Interview and Get Hired – Aiming to increase your hiring chances? Get insights into the hiring process and how to position yourself to get an interview. Blog categories address adaptability, body language, career development, communication, dealing with fear, emotional intelligence, Friday funnies, leadership, networking, neuroscience, office politics, personal branding, problem-solving, promotion, self-promotion and thought for the day. 5 Tactics for Starting a Conversation with a Stranger – Want to engage in a discussion with anyone? Learn ways to get a conversation going with someone you just met while networking. 8 Traits that Make Introverts More Successful – Yearning for success as an introvert? See the natural qualities that when used properly, give introverts a higher chance of excelling. Career advice categories consist of job search (resumes, cover letters, interviewing, career transition and social media), advancing (negotiation skills, productivity, networking, mentorship and company spotlight) and leadership (decision making, effective communication, leadership, managing teams and organizational culture). Other categories comprise business strategy (competitive strategy, entrepreneurship, innovation and sales and marketing) and education (including executive education and speaker series). The Biggest Mistake You Can Make When Setting and Working Towards Goals – Trying to meet goals? Discover what can hinder you from achieving your goals and the importance of having a good strategy for reaching your objectives. What to Do If You Lose Your Job – Concerned about job security? Examine the things that one can do in case of unemployment. Blog articles cover interviewing, resume tips, cover letters , fear, success stories, personal branding, career pivot, LinkedIn, networking, getting unstuck, job search advice, career motivation and entrepreneurship. 7 Ways to Get Out of a Job / Career You Hate (When You’re Feeling Totally Stuck) – Feeling restless at work? Check out advice on assessing your current job situation and the actions that you can take to make a difference in your work circumstances. Why LinkedIn Recommendations Matter (& How to Score Great Ones) – Need endorsements on LinkedIn? Get step-by-step guidance on the best way to request for recommendations on LinkedIn. Blog categories include all about bosses, career advice, career news, choosing your career, commuting to work, coworkers, Gen Y career, how to quit a job, interview help, job vent, job website review, resume templates, work humor, work productivity and job searching. How To Cope With Change At Work – Dealing with change? See the various ways change happens in the workplace and get insights on handling organizational change. 5 Tips On Becoming a Better Listener – Craving to improve your listening skills? Find out five ways to break bad listening habits and strengthen your listening skills. 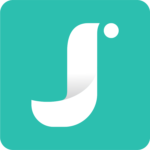 Jobboom provides access to offers of employment, contract opportunities, training and professional advice for both job seekers and employers. Blog articles address topics such as job search, resumes, job interviews and health and wellness. There is also a blog category called “meet an employer” which features information about various companies; areas covered are business cultures, staffing needs and recruitment methods. Should you tell a potential employer that you’re considering other offers? – To tell or not to tell? Explore the pros and cons of saying nothing as well as the merits and demerits of saying everything. How do recruiters evaluate candidates who lack work experience? – Looking for a job with no experience? See the factors that two recruiters look at when evaluating candidates with little to no professional experience. JobHero helps jobseekers to perfect their job applications by providing resources on resume and cover letter samples for many job titles. Find resume samples and cover letter samples for different jobs. In addition, there are helpful career resources including job descriptions for various roles and career advice articles discussing job interviews, career resource guides, resumes and career path advice. Interview Body Language: What You Don’t Say Matters Too – What is your body language saying? This article highlights body language do’s and don’ts during a job interview and how to subtly build rapport. How to Ask for a Raise the Right Way – Seeking a pay raise? Check out tips on how to plan, justify and successfully request for a raise. Read about common interview questions, successful job interviews, interview thank you notes, working with recruiters, avoiding job scams, LinkedIn for job search, personal branding with LinkedIn, Facebook for job search, personal Search Engine Optimization (SEO), personal branding, reputation management and free job search guides. The Winning Difference: Pre-Interview Preparation for Your Job Interview – Attending an interview? Dive into different ways of doing pre-interview research to boost your chances of interview success. Guide to Defensive Googling – What’s your online reputation? Appreciate how search engine results can have an impact on candidates when employers research job applicants online and how to stay a step ahead. Blog articles discuss topics such as job searching, resumes and job interviews. 25 Ways to Breathe Life into a Painfully Long Job Search – Perturbed by an overly long job hunt? Learn how to jump start your search and reenergize yourself in your quest for a job. 7 Ways People Fail at Salary Negotiations – Scared to negotiate your salary? Explore the pitfalls to avoid when it comes time for negotiating your salary and learn some salary negotiation strategies. Blog topics entail optimizing your resume, executive job search, applicant tracking systems, LinkedIn for job seekers and job search. 8 Applicant Tracking System Secrets You Need to Know – Want to beat Applicant Tracking Systems? Discover tips on how to prepare your resume to get past Applicant Tracking Systems and improve your odds of getting a job interview. How Executives Find Jobs – Ever wondered how higher-ups get jobs? Get insights into how senior leaders can go about looking for new positions in a situation where there are limited executive job opportunities. Blog topics include hiring and onboarding, employee benefits and perks, managing your team and keeping compliant. How to Give Effective Feedback to Your Colleagues – Nervous about giving feedback at work? Learn tips on giving constructive feedback without driving a wedge between yourself and co-workers. 19 Easy Ways to Improve Communication in the Workplace – Aiming for effective workplace communication? Find out various steps to strengthen the communication process at work and use proper communication as a springboard for organizational success. Blog topics include job searching, career change, mentorship, social media, networking, interview advice, resume tips, workplace tips, business tips, work-life balance and succeeding in your job. How to get recognized at work – Need appreciation at work? Find out what causes others to be recognized and the steps you can take to gain recognition for your work. How to get respect at work – Want to earn respect? Identify ways to raise your visibility and contributions in the workplace to gain respect from your supervisors and colleagues. Learn How to Become creates educational content to help students or other aspiring professionals understand what it takes to land their perfect career, from picking the right school all the way to climbing the company ladder. See in-depth information on how to pursue different careers including what a professional does in a specific career, salaries in different locations, job growth outlook, what it takes to get into a particular career, types of relevant academic backgrounds, necessary skills and various colleges and universities offering applicable educational programs. In addition, there are career guides discussing topics such as interview tips, resume tips, creating a professional LinkedIn profile, tips for recent graduates, careers to make a difference, college resources and special interest categories such as career change after 50, green careers and careers with animals. How to Become an Actor – Thinking of an acting career? Find out the components and requirements of a successful acting career including actor salaries, job growth and types of theater and acting degrees. How to Become a Forensic Psychologist – Wondering what a Forensic Psychologist does? Learn what a Forensic Psychologist does including typical salaries earned, educational path required, career options and essential skills to succeed. Career advice tips encompass personal branding, finding yourself, job searching, interviewing tips and much more. The Ultimate Guide to Personal Branding – Perplexed on where to start on your personal branding quest? This article offers guidance on what you should do to build a solid personal brand. 12 Successful People Share Their Best Productivity Hacks – Curious how others manage to be so productive? Obtain insights on what successful people do to boost and maintain their productivity. LiveCareer helps people to discover their career paths, build stronger resumes, interview with confidence and boost their chances of finding the right job in less time. Explore tools to help you get ready for a job such as resume builder, cover letter builder, career tests, professional resume writing services and a job board. Career advice articles discuss topics such as resume tips, cover letter tips, interview tips, job tips and job description examples. 15 Quick Tips for Career and Job Fair Success – Wondering how to prep for a career fair? Get actionable tips on how to prepare and boost your chances for success at a job fair. 15 Quick Tips for Obtaining Your Next Promotion – Desiring to move up the ladder? This article provides guidance on strategically preparing for a job promotion. Blog categories include career choices, creativity and design, curated content, enrichment, entrepreneurship, network, personal development, self-help, skills, social media, wellness and work life balance. In addition, women can join the platform as members to be able to list their businesses, share their skills and connect and e-network with other women in careers. These 20 Soft Skills are Your Road to Success! – Desiring to improve your people skills? Learn about the importance of soft skills and evaluate yourself against different interpersonal skills. Mentors matter! How to Seek, Meet & Grow with one – Looking for a mentor? Read how a mentor can help you in your career, the desirable qualities of a mentor and how to find a good one. Career advice articles are divided into five categories, namely employers, employees, college students, communication, motivational and today’s line to live by (daily inspirational quotes). 9 Timeless Communication Tips That Will Make You Lovable – Want to be a better communicator? Acquire guidance on things that you can say and do to improve your communication skills. 7 Roadblocks to a Successful Career – Yearning for career success? Identify pitfalls to avoid as you strive to excel in your profession. Ms. Career Girl helps ambitious young professional women to love their work and passionately live their life. Career articles discuss productivity, career confessions, side hustles and job search advice. Other topics covered are working moms, inspirational stories about real career girls, life after college and money management. In addition, there is a job board and a resume optimization tool for analyzing your resume. 5 Ways Introverts Can Increase Their Power in a Male-Dominated Industry – Shy and ambitious? Learn tips on how to share your ideas, uplift others and contribute more at work. Help! My Boss Hates Me! – Supervisor doesn’t like you? Identify what to do when you are not getting along with your boss and steps to take to improve the situation. Career advice is divided into the following categories: college grads, finding career fulfillment, interviews, job search, LinkedIn, networking and resumes & cover letters. 10 Things You Should Avoid When Applying for a Job Online – Looking for employment? Check out the mistakes to steer clear off to help your online application stand out. What You Need to Know Before Purchasing Resume Writing Services – Looking for a professional resume writer? See tips and guidance on what to consider when choosing a Certified Professional Resume Writer. Career Blog articles discuss resume and CV writing, cover letter writing, personal development, inspiring stories, interviews and finding a job. Some specific topics addressed include how to write a professional resume, differences between CV’s and resumes, how to write a cover letter, interview questions and the best answers, how to find a job as a recent graduate, how to have a successful career and how to ask for a promotion. Improve Your Resume By Focusing On Your Achievements – Anxious about highlighting your strong points? Learn how to communicate your accomplishments to make your resume stand out as well as examples of achievements. How to Start a Cover Letter – 4 Tips for the Perfect Opening – Debating where to begin your application letter? This article offers guidance on how to prepare an impactful introduction for your cover letter. Career advice categories address flexible working, interviewing, job search, leadership & management, career change & exploration, career development, confidence, CV’s & applications, executive job search, mid-career, networking, career coaching, redundancy, retirement, salary negotiation, social media & branding and stress management. 10 Steps to Building a Successful Personal Brand – Want to package yourself effectively? Get tips on how to grow your personal brand and build your reputation. 10 Tips on How to Prepare and Plan for Retirement – Thinking about retirement? Find out guidance on planning and getting ready for retirement and what to do after retiring. Career advice tips are broken down into three categories: getting started (career tips for entry level professionals), getting ahead (tips for advancing in your career including promotions) and changing careers (tips for pursuing a new career path). In addition, there are categories on job search and skills. The skills section covers leadership, productivity, communication and negotiation. How to Get Noticed at Work – Need visibility at work? See eight steps to help you stand out among colleagues, get recognized and get ahead at work. 6 Secrets to Motivating Millennials – Seeking to inspire Gen-Yers? Here are tips on how to use characteristics displayed by millennials to in turn engage and motivate them in the workplace. Blog topics discussed include resume writing, creating LinkedIn profiles, cover letters and interview questions. Don’t Miss Out On Hidden Job Opportunities – Searching for a job? Check out some ways to uncover the hidden job market. The 6 Best Ways to Evaluate Company Culture – Trying to assess company fit? Get guidance on how to assess organizational culture and determine how well you will fit in a company. ResumetoInterviews provides resume writing and career consulting services that help clients with their resumes, cover letters, LinkedIn profiles, job interviews, networking strategies and compensation negotiation. Blog articles address topics such as job hunting, resume tips, job interviews and changing careers. The Resume Words You’re Saying That Are Costing You Jobs: How to Improve Your Resume Skills – Polishing your resume? Identify common resume words that sell you short and the proper words to include instead on your resume. 7 Steps to Increasing Your Income Without Leaving Your Current Job – Want to boost your earnings? Discover ways to make more money while still working at your job. Career advice topics entail job searching, job interviews, making a career change, career growth, improving working relationships, increasing your productivity, curriculum vitae (CV) and quitting a job. Personal development topics discuss goal setting, boosting your confidence and handling procrastination. Additionally, there are podcasts from entrepreneurs on various issues such as habits to succeed and how to get ahead. How To Handle Criticism Like A Champ – On the receiving end of criticism? Find out how to deal with giving and receiving critical feedback and making the most use out of negative criticism. 10 Tips For Powerful Presentations That Will Captivate Your Audience – Preparing for an upcoming presentation? Learn how to make a presentation engaging, give key takeaways and leave a positive impact on the listeners. Blog topics include career growth and success, interview tips, productivity, workplace culture, leadership, personal development, successful entrepreneurship and technology. The Secret to Motivating a Slacker on Your Team – Someone not pulling their weight? Learn how to help improve and motivate a team member who is not working as hard as the rest. 5 Reasons Why Vision Is Important In Leadership – Why create a vision? Find out tips on the benefits of having a clear vision as a leader. Tami Cannizzaro is a resume tutor, career coach and interview prepper who provides career consulting services to help clients achieve their career goals. Get guidance on job search strategies, resume development, cover letters, interview preparation, college entrance essays & scholarship application essays, networking skills and negotiating. The Single Most Important Aspect of Networking – Want to improve your networking skills? Discover what you can do to build a strong professional network. When It Comes to Interviewing, Make These Assumptions About Your Competition – Sizing up the competition? Stay extra prepared when attending an interview by keeping these tips in mind about the other candidates. The Balance Careers provides resources and expert advice on finding a job and managing your career. Career topics encompass salary & benefits, best jobs, part-time jobs, finding a job, career planning, internships, management and leadership, work-family balance, work-from-home-jobs, career paths and succeeding at work. What Not to Do When Selecting a Career – Stressed about choosing a suitable career? Familiarize yourself with the miscalculations and pitfalls to avoid when determining your future line of work. Top 10 Challenges Managers Face and How to Deal with Them – Dealing with managerial difficulties? Learn some of the challenges facing managers in today’s business environment and how to overcome them. Career categories feature life & work skills, blogging and finance topics. There is also a category on career profiles that highlights inspirational and success stories about women. How Successful Women Spend Their First Hour at Work – Seeking morning routine inspiration? This article outlines how to structure the first hour of a work day to enhance your productivity. 7 Habits That Are Making You Unproductive – Not as productive as you’d wish? See seven things that could be holding back your productivity and how to overcome them. 8 Phone Interview Tips That Will Land You A Second Interview – Want to pass the phone screen? Check out ways to pass a phone interview successfully. Top 14 Questions To Ask The Interviewer (These Are Powerful) – Wondering what questions to ask? Discussion centers on why you should ask questions as well types of questions to ask during a job interview. Career blog articles include advice on getting started on your first job, getting ahead at work and career advancement, work relationships such as dealing with your boss and coworkers, changing jobs, work-life balance, job search, resumes, cover letters, interviews, career paths and choices, management tips and job skills. 3 Questions to Ask After Your Boss Shuts Your Idea Down (Again) – Discouraged over your idea being rejected? Find out how to bounce back from a rejection, what it would take to get your boss to support your idea and how to move on. How to Take Feedback Like a Pro – Nervous about getting feedback? Learn how to handle constructive criticism and get the most value out of feedback given. Articles discuss job searching, resumes and cover letters, networking, job interviews, career advice and tools and productivity. What Recruiters Really Want To See On Your Resume – Updating your resume? Learn the key things that recruiters look for in a resume at first glance. How to Approach Internal Transfers – Transferring jobs at your company? Find out what to do when switching jobs within a company to make your move as painless as possible. Blog topics address performance, time management, leadership & teamwork, productivity tools & systems and life balance. 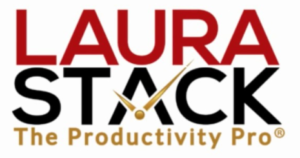 Additionally there are podcasts on productivity and efficiency. When Good is Good Enough: Five Situations When Perfection Is Counterproductive – Is the task really ready? See situations where striving for perfection can hinder the achievement of a desired end goal. Five Reasons to Set Impossible Goals: Don’t Be Afraid to Push Yourself Too Hard – Planning to set goals? Explore the merits of setting high goals to stretch your abilities. Categories covered are career advice, productivity, side hustle, resume, job interviews and inspiring stories from young women. Why Your First Salary Negotiation Is Your Most Important – Nervous about negotiating your first paycheck? Get guidance on negotiating your starting salary at your first job and the importance of your first salary as a benchmark for future positions. Professional Habits to Develop in Your Twenties – Searching for good work habits? Learn about 15 foundational habits that can help you to build a successful career. Career advice to help women succeed. Articles comprise of topics such as decision-making, ways to learn, advancing your career, finding a job and mentorship. Missing a Mentor? 5 Awesome Alternatives – In need of a mentor? Explore different ways of finding a professional mentor to help you in your career growth and development. The Single Best Way to Get a Job – Looking for a job? This article outlines a proactive way to find your next job and details ten steps that you can follow when job searching. Blog categories consist of resumes, cover letters, job interviews, career advice, job promotions and personal growth. 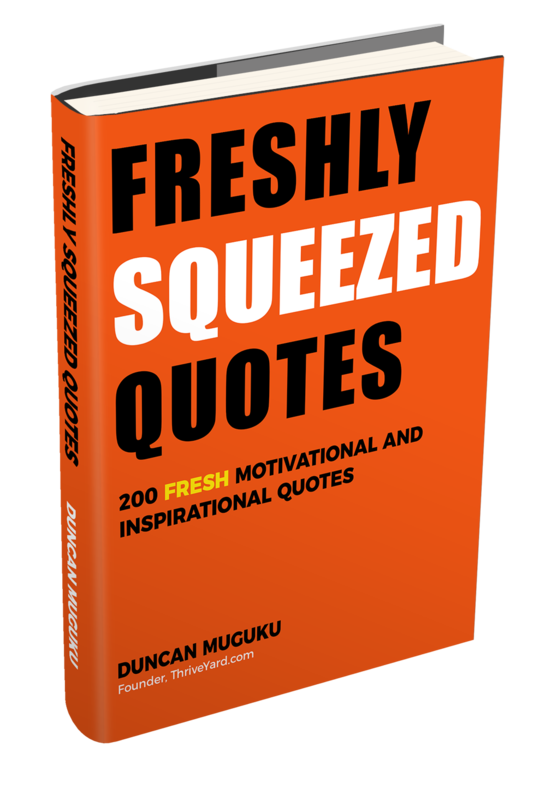 Also features motivational and inspirational quotes. 57 Common Interview Questions, Answers and Examples – Anxious about an upcoming interview? This article explores common questions asked during interviews, offers guidance on answering and provides sample answers. 39 Ways to Increase Your Productivity at Work – Battling with productivity at work? See various tips to boost your efficiency at work and get more work done. Career advice articles touch on topics such as job searching, job interviews, salary negotiation, networking, productivity, building work relationships and LinkedIn tips. 6 Productivity Hacks to Maximize Your Work Time – Seeking to be more productive? See different ideas and examples of how to increase your productivity at work. 25 Things You Might Be Doing That Annoy Your Coworkers – Driving others nuts? This article identifies habits in the office that could be rubbing others the wrong way. Career advice categories and topics consist of resume and CV, interviews, personal branding, networking, getting ahead, job search, salary negotiation, cover letters, changing careers, online presence, setting career goals, age and your job search and motivation and inspiration. Career Inspiration and Advice from Olympians – Looking for inspiring career advice? Read six inspiring and encouraging life lessons from Olympic athletes that can be applied towards improving your job performance. Changing Careers? 7 Details to Include on Your Resume – Thinking about switching careers? Get guidance on key things to address on your resume to boost your chances of getting a job in a new field. UndercoverRecruiter is a Global recruiting and talent acquisition blog. Topics include career management, interview tips, job searching tips, recruiting tips, social media tips, and resume and CV writing tips. What Recruiters Really Want to See on Your CV – Is the content on your CV in alignment with what recruiters look for? This article gives insider tips and explains what you can do to give your CV a chance of rising to the top of the application pile. How to Transform a Millennial Employee into a Leader – Looking to groom new leaders at work? Learn the workplace settings in which millennials thrive, the qualities to look for in a potential millennial leader and how these qualities can support a company. Undergrad Success curates the best content to help college students and recent graduates succeed. Resources are divided into categories including academic, personal and professional. Articles cover areas such as tips for recent graduates, internships, interviews, resume writing, LinkedIn profiles, planning career paths, improving productivity, success in life, networking, mentorship and personal branding. In addition there is a guide that features the best books to read for Business Majors. How to Make the Most of Your Internship – Desiring to succeed as an intern? Explore five ways to make your internship a success. Job Seekers: How to Follow up After Networking Events – You’ve networked, what next? Check out how to professionally follow-up after meeting a potential employer at a networking event. Blog topics include resumes, interviewing, career growth and a section called “women who do” that features accomplishments by successful women. 10 Most Underrated Interview Tips – Want to standout in an interview? Explore ways to leave a positive impression on interviewers. What to Do When You Love Your Job But the Pay is Horrible – Caught in this dilemma? Get guidance on what to do when you are underpaid and steps to rectify this situation including asking for and justifying a pay raise. Explore career guides that offer tips on internships, part-time and entry level jobs; cover letter, resume and attire tips; interviewing tips; succeeding at your job and guides by industry and major. In addition there is a WayUp blog for college lifestyle and career advice that offers a behind-the-scenes look at companies. 11 Secrets of People Who Always Nail Job Interviews – Jittery about interviews? Learn tips on how to improve your performance during interviews. Advice for Starting Your Entry-Level Job Search – Looking for your first job? Guidance is offered on planning your job search including where and how to find entry-level positions plus pitfalls to watch out for. Topics addressed include job searching, interviewing, resume writing, cover letters, using LinkedIn, choosing a career, negotiating salary, networking and getting a job promotion. 18 Easy Conversation Starters For Networking Events – Struggling to strike a conversation when networking? Explore tips on how to get a conservation going when you network with others. 7 Tips For Becoming A Leader At Work – Yearning to lead? See tips on how to prepare and position yourself for leadership opportunities in the workplace. WorkBloom helps job seekers in their job search by offering job search advice, including advice on resume writing, cover letter writing, networking and interviewing. Find career advice resources broken into five broad categories as follows: job search, networking, cover letter, resume and interview. Each category is sub-divided to provide more specific information, for example interview is broken down into interview tips, types, process, preparation, questions, skills, psychology, follow up email and interview FAQ’s. Also available are resume samples and cover letter samples from resume writers and career coaches. The Best Way to Approach a Telephone Interview: Follow These Tips to Get Ahead – Nervous about an upcoming phone interview? This article discusses tips on how to prepare sufficiently to get past the phone screen to the interview table. 22 Practical Tips to Write an Effective Cover Letter – Looking for good cover letter tips? Find out ideas on making your cover letter shine, stand out and show that you are the best candidate for the job. Articles address topics on careers, HR, recruiting, leadership, social media, millennials and the workplace among others. Additionally, there are podcasts on workplace, human resources and recruiting topics. How to Ask Your Boss to Work From Home – Agonizing over putting in your request? This article walks you through what to do when you want to work from home and how to prepare a convincing case for working remotely. 3 Sample Email Templates Job Seekers Can Send to A Recruiter – Trying to email a recruiter? Obtain tips on how to best connect with a recruiter to boost your chances of getting a job. Your Career Intel provides resources, tools and advice to help people get jobs and stand out at work. Many topics are covered from finding a job to growing in your career to succeeding as a leader. Areas addressed include job search, resumes, interviews, working with a recruiter, job offers, professional networking, staying motivated, getting ahead, work-life balance, career transitions, hiring, coaching and motivating employees. Also available are templates for cover letters, resignation letters and job offer acceptance letters among others. How to Choose Your Best Career Path – Pondering about the right career move? Find out steps on determining a suitable career path that can put your passion, skills and experience to good use. Little Things that Make a Big Difference in your Job Search – Desiring to become a top candidate? This article highlights eight things to keep in mind in order to make a good first impression when looking for a job. Blog topics include career advice, resume advice, cover letters, job interviews, LinkedIn tips, job search, career change, freelance lessons, using social media for job searching and networking. 6 Job Seeking Lessons Learned from the Life of a Freelancer – Seeking inspiration and encouragement during a job search? Gain practical insights from the perspective of someone whose job entails looking for work every week while still handling existing assignments. 15 Ways to Stay Career Motivated When Work Just Isn’t Fun – Struggling to get through the day? Take a look at tips to bring the sunshine back to your work day when it feels cloudy. Topics covered include resume writing, cover letters, job interviews and job search. In addition, there are resume examples for different professions for example a business analyst, sales associate, teacher, painter, barista, human resources, office manager etc. How to Show Promotions & Multiple Positions on Your Resume – Struggling to update your resume with multiple jobs at one company? Acquire guidance on how to present your career progression on your resume especially when you have worked in many positions within the same organization. 12 Best Online Resume Builders Reviewed – Curious about using an online resume builder? Learn what a resume builder can do and some of the resume building services that are available. Career advice articles discuss best companies and industries to work for, job searching, resumes, cover letters, interviewing, negotiating salary, networking, working relationships, and various article series on the “Most Exciting Jobs” different professionals have moved into after leaving their former positions. In addition, explore the career paths that you can take after college by typing in your major and then viewing different jobs and careers that you can pursue. How to Land a Job Without Connections in 5 Easy Steps – Struggling to get a job without connections? Explore guidance on how to get around not knowing anyone in the company that you would like to work for. Do Men and Women Write Resumes Differently? The Answer May Surprise You – I’m wondering too … Learn what the results were after over ten thousand resumes were analyzed. Did you find ThriveYard’s career resources helpful? We would like to hear from you. Reviews take just a couple of minutes to complete. What did you like about the article/career resource? How did it help you? or How did it help others? Or give any other feedback/comments. 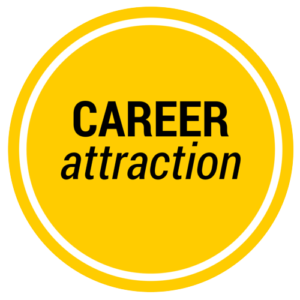 If your career blog is listed on this article, you can download the badge below and feature it on your website. Congratulations. Excellent list of top 100 career blogs providing career advice and guidance and answering many job search and career questions.